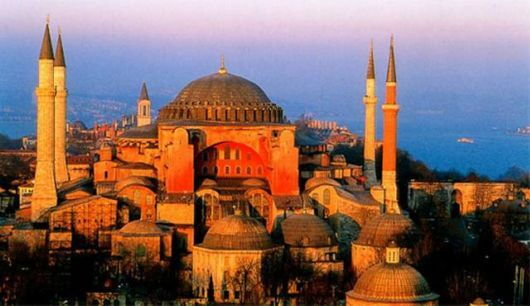 Who has not seen pictures of this famous landmark of Istanbul, Turkey? 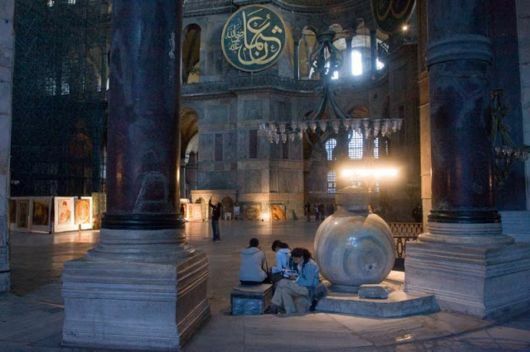 Well I think most would have since those visiting Istanbul, Turkey never fail to include this important land mark in their visiting priorities for its grandeur and eye catching architecture - Hagia Sophia Museum. To many, it is a mosque. Well yes it has been a mosque once too. 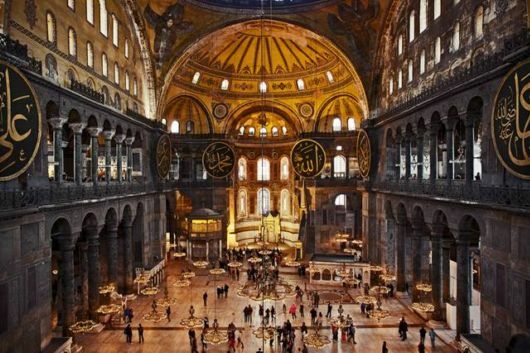 But it may come as a surprise that the structure was originally served as an Eastern Orthodox cathedral and seat of the Patriarchate of Constantinople from 360 until 1453. However, between 1204 and 1261, it was converted to a Roman Catholic cathedral under the Latin Empire. The building was converted into a mosque, as generally it is believed to be a mosque, from 29 May 1453 until 1931, when it was secularized. It was opened as a museum on 1 February 1935. 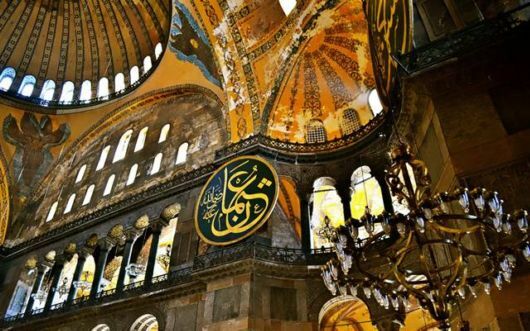 In 1453, Constantinople was conquered by the Ottoman Turks under Sultan Mehmed II, who subsequently ordered the building converted into a mosque. The bells, altar, iconostasis, and sacrificial vessels were removed and many of the mosaics were plastered over. 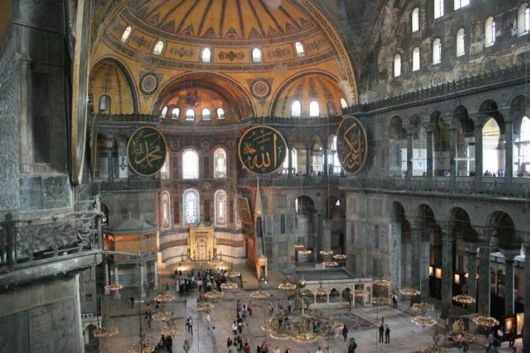 Islamic features – such as the mihrab, minbar, and four minarets – were added while in the possession of the Ottomans. It remained a mosque until 1931 when it was closed to the public for four years. 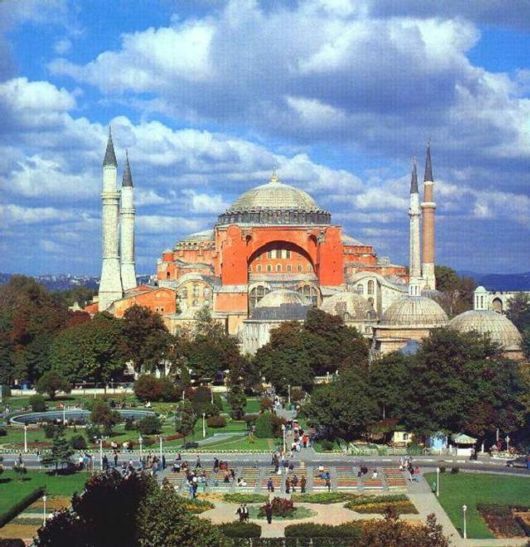 It was re-opened in 1935 as a museum by the Republic of Turkey. 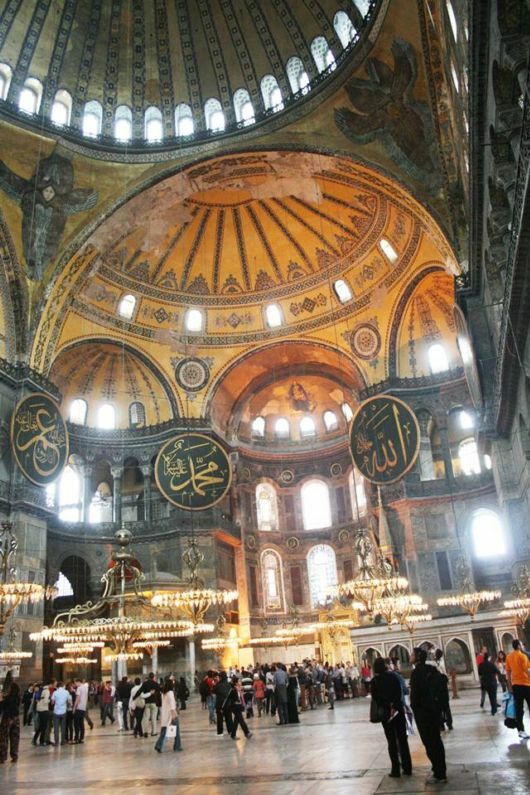 The most famous restoration of the Aya Sofya was ordered by Sultan Abdülmecid and completed by eight hundred workers between 1847 and 1849, under the supervision of the Swiss-Italian architect brothers Gaspare and Giuseppe Fossati. The brothers consolidated the dome and vaults, straightened the columns, and revised the decoration of the exterior and the interior of the building. The mosaics in the upper gallery were cleaned. The old chandeliers were replaced by new pendant ones. New gigantic circular-framed disks or medallions were hung on columns. They were inscribed with the names of Allah, the Prophet Muhammad, the first four caliphs Abu Bakr, Umar, Uthman and Ali, and the two grandchildren of Mohammed: Hassan and Hussain, by the calligrapher Kazasker Mustafa İzzed Effendi (1801–1877).